How it rains in Fiji! This morning Fiji looks decidedly worse for wear. In fact, the place looks as though the apocalypse is about to set in. The streets have turned into not so small rivers and through the window of the car I see people walking along, huddled together under their umbrellas in a futile attempt to escape the downpour. 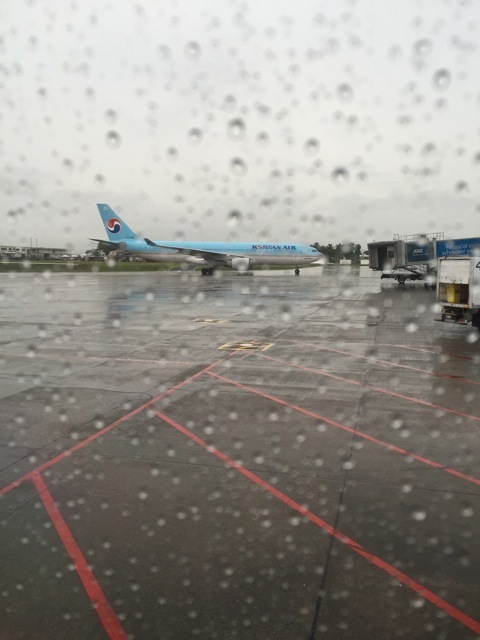 I arrive at the airport just after seven in the morning. My flight to Auckland will be departing at 08h45. Fortunately, just as we pull up to the pavement, the rain eases up enough for me to disembark without getting completely soaked. 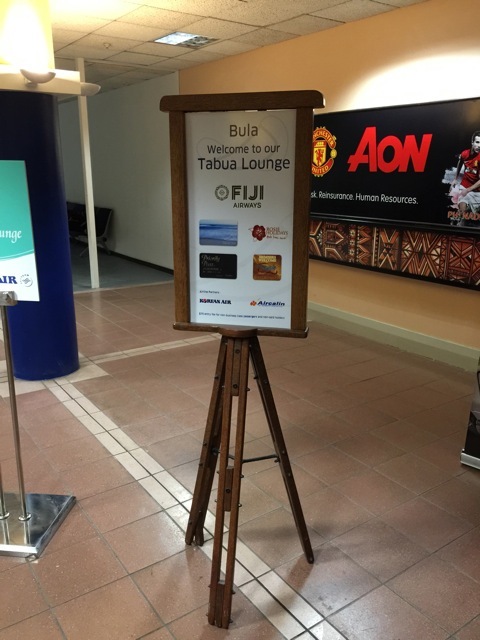 Counters: Dedicated Fiji Airways counters. There are dedicated check-in counters for each flight. Three counters are in use today for the flight to Auckland, all of which are marked for Economy Class passengers. The gentleman checking me is friendly enough. He asks me if I enjoyed my holiday and looks slightly surprised when I tell him that I was only in Fiji for two days. He labels my check-in luggage with a priority tag, puts a hand-luggage tag on my backpack and sends me on my way. 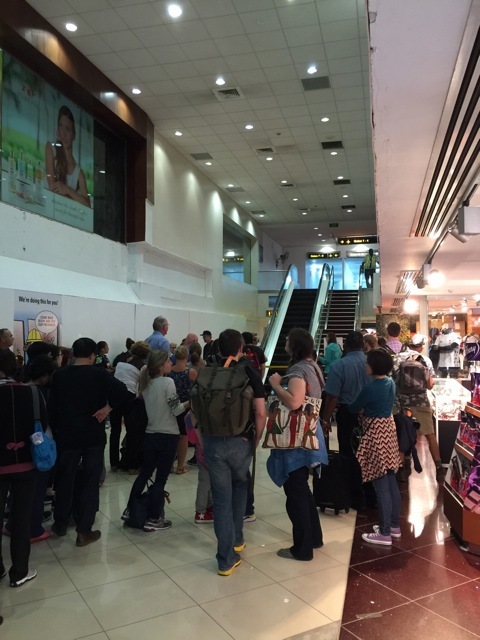 At Nadi airport, check-in for all flights closes one hour before departure. 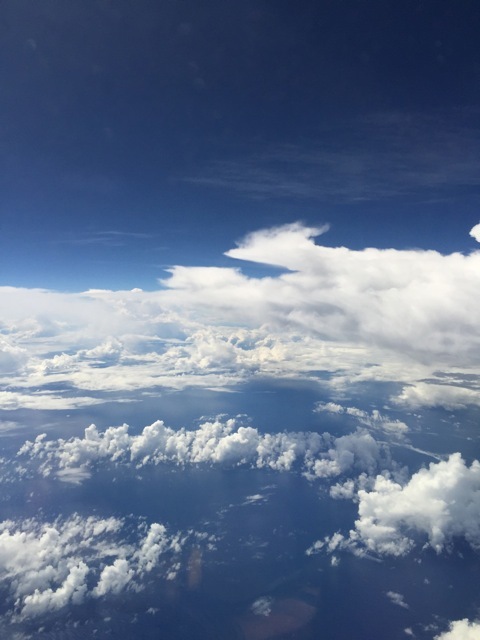 If you arrive later, you will not be accepted for the flight anymore. The airport facility is a small, two-storey building. It looks rather old and I have the impression that it is the kind of facility that was haphazardly added to and extended to meet demand for the growing number of passengers passing through it. From check-in I head for security, which is a far more laid back affair than it is in Europe. What always strikes me about the Fijians is that they all seem so interested to know where you are from. The lady at security eyes my passport and then utters a questioning ‘Malta’? Location: On the ground floor, behind the escalators leading up to the departure gates. 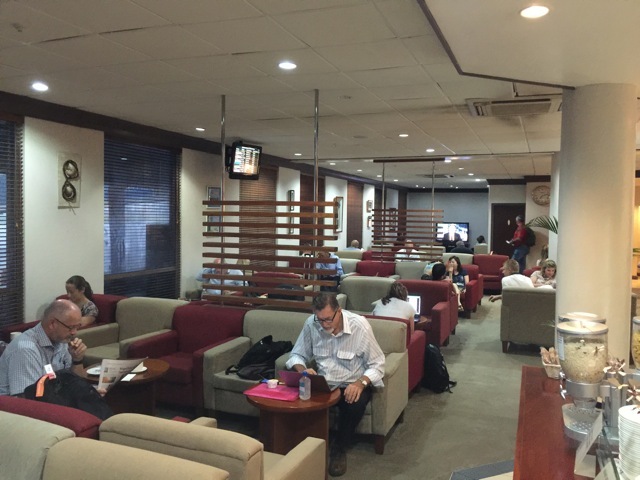 Type of Lounge: Dedicated Fiji Airways lounge. 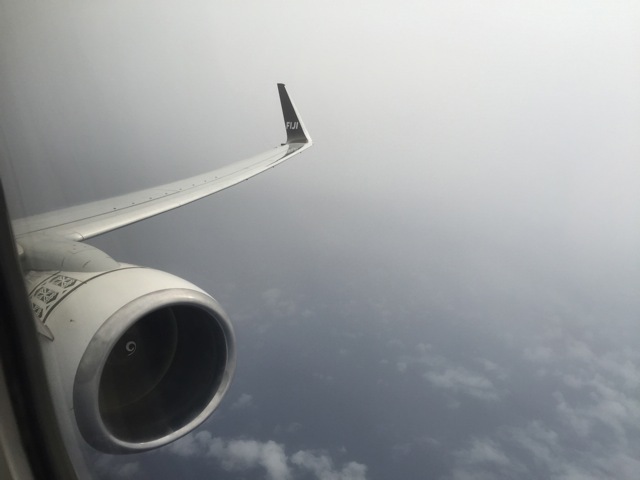 Facilities: The lounge is rather small, but it provides all the amenities and facilities one can expect from an airline lounge. There are two workstations, toilets and showers are available inside the lounge. Food options are somewhat limited, but there is a toaster, müsli, and coffee. Internet: Free wifi is available, the code can be obtained at the reception desk. 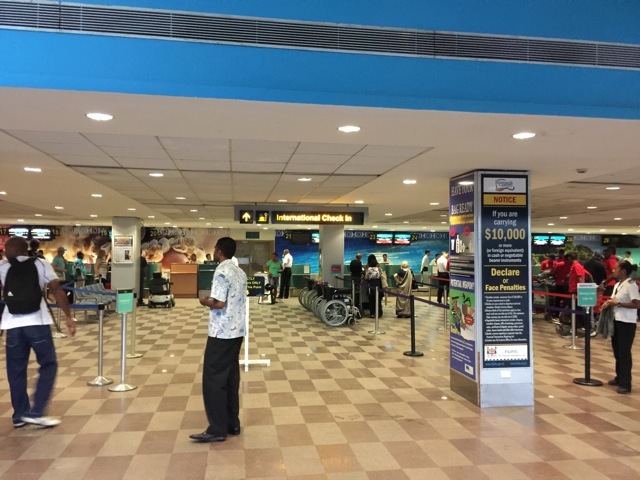 Priority Boarding: The boarding procedure at Nadi airport is somewhat odd, mainly due to the fact that on the upper level there is not enough space for a holding area for every individual gate. Subsequently, passengers must wait on the ground floor until their flight starts boarding before they are allowed to go upstairs. 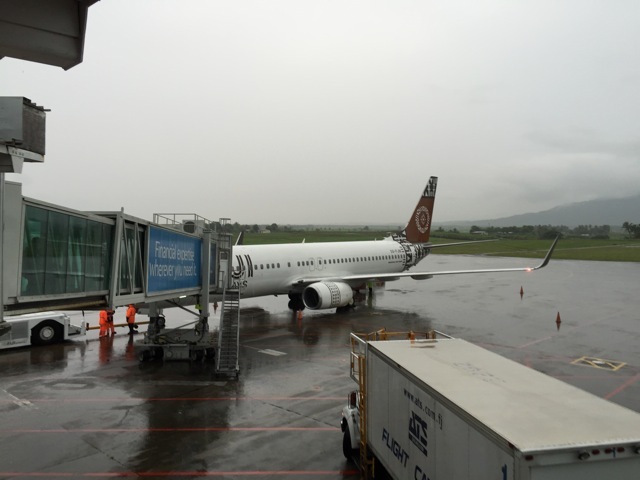 Priority boarding in Nadi means that you are allowed to head upstairs before every body else. 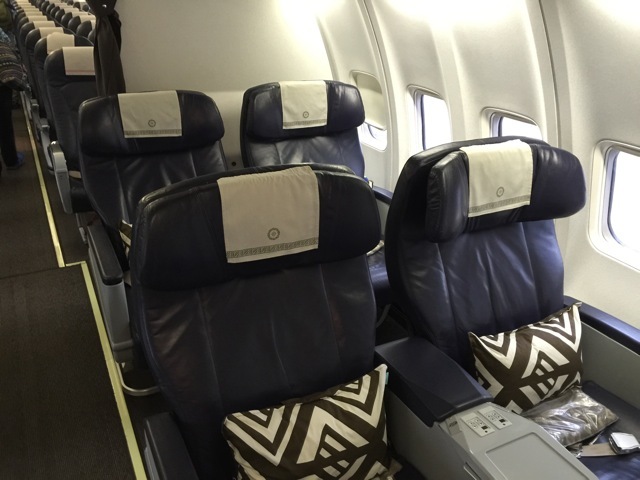 Seat: This aircraft is equipped with a dedicated Business Class cabin and seats. There are two rows with four abreast. All eight seats are occupied on today’s flight. 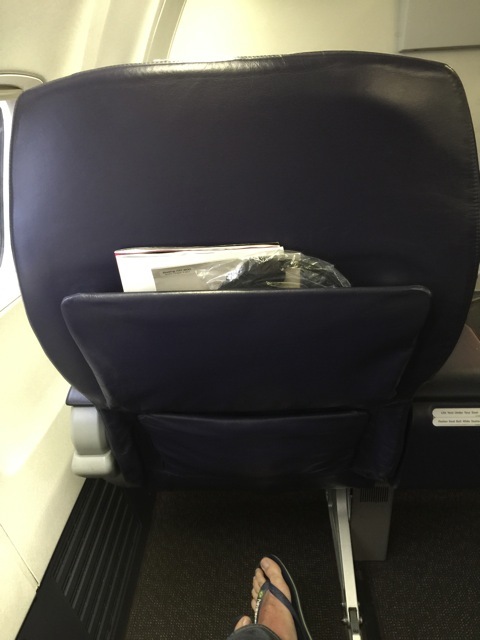 The seat is rather comfortable, even though it does not have a foot rest. The controls work mechanically, instead of electronically. 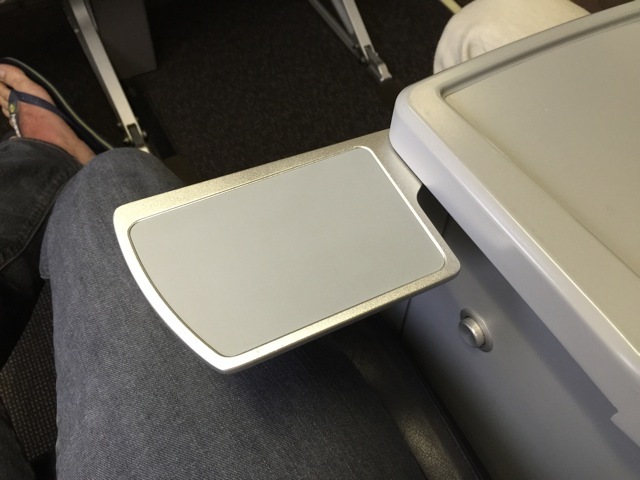 If I am not mistaken, this is the same seat Malaysia Airlines have installed on some of their B 737-800 as well. 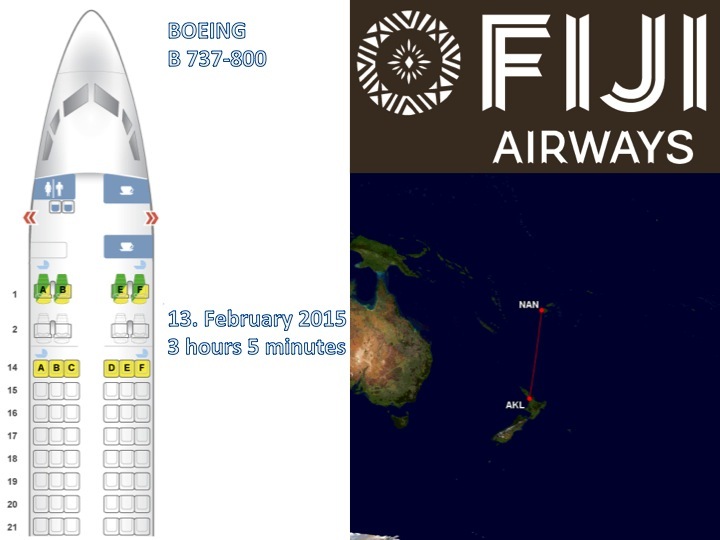 Audio and Video: There are no individual screens, only drop down screens throughout the cabin. 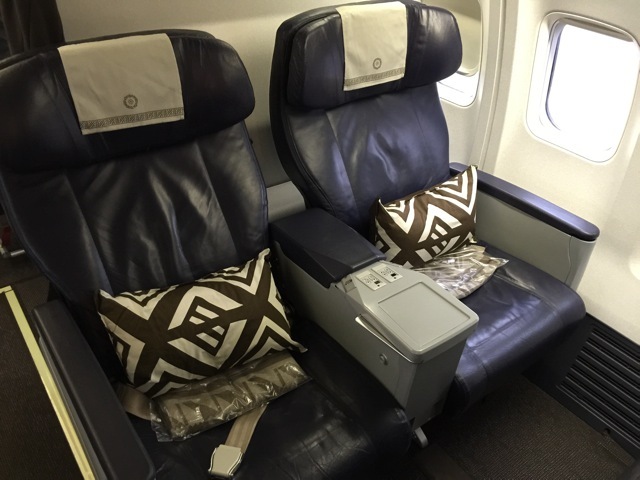 There is a blanket and pillow at every seat. 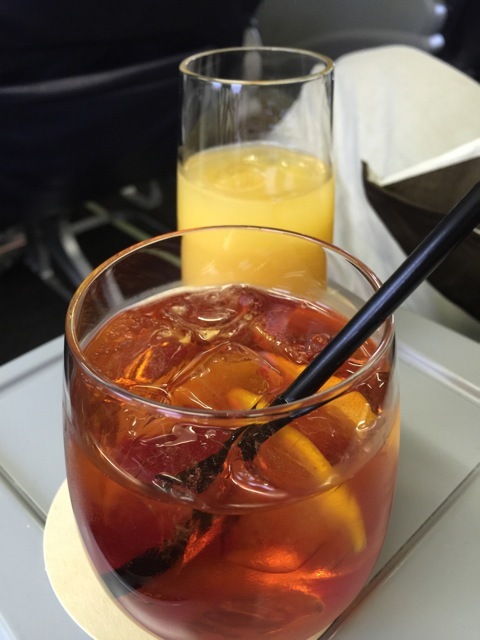 Shortly after settling in on 2A, the flight attendant comes around offering welcome drinks. There is a choice of sparkling wine, orange juice and some cocktail made with local rum. 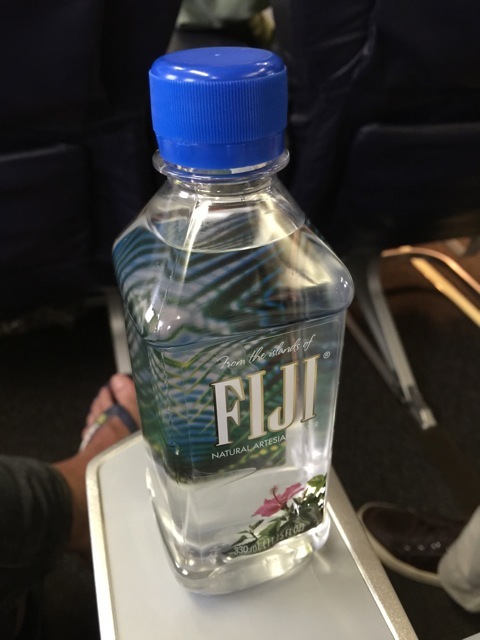 Next the crew distribute small bottles of Fiji water and a nice thick, warm and scented towel. 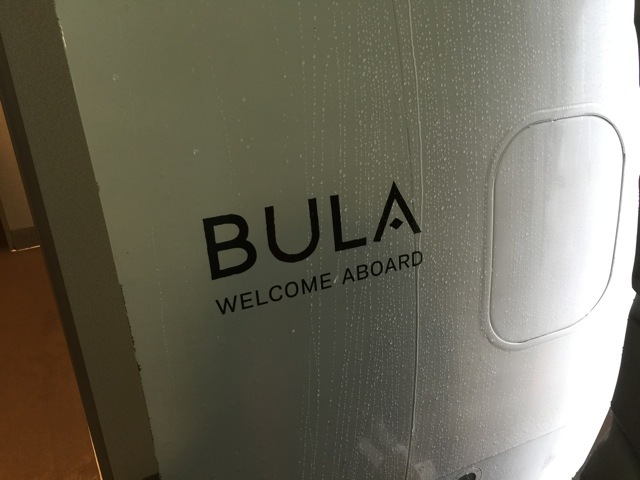 The cabin crew on this flight are very friendly and personable, make jokes with the passengers while they go about their duties. Welcome drink on the ground: Orange juice, sparkling wine or a rum cocktail. 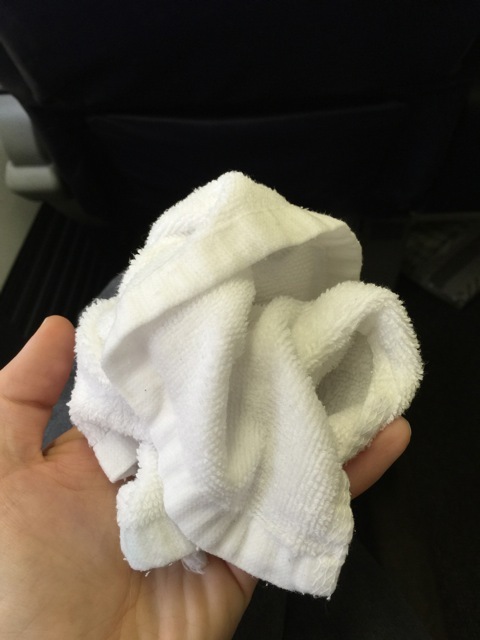 Hot towel before the meal: Scented hot towels are distributed on the ground. Choice: Burrito with scrambled egg and salsa or English breakfast. Menu: There are no menus, but every passenger is presented with the two option on a tray to choose from. 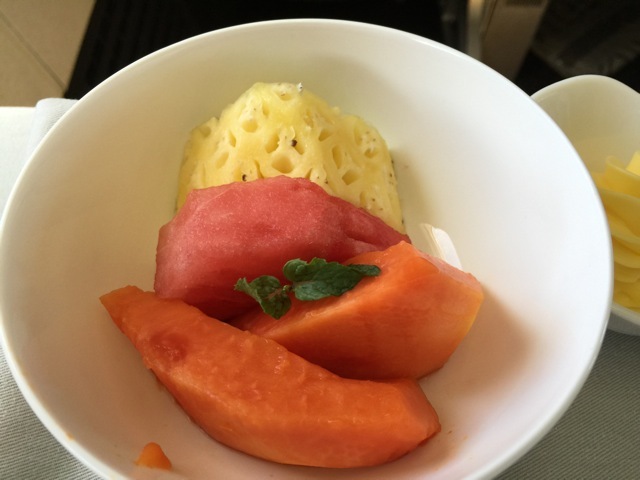 Fruit salad with pineapple, papaya, water melon and mint. 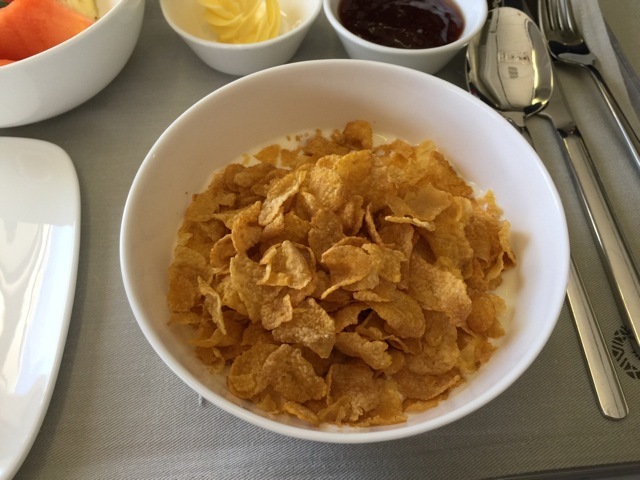 A selection of müsli or cornflakes with milk. 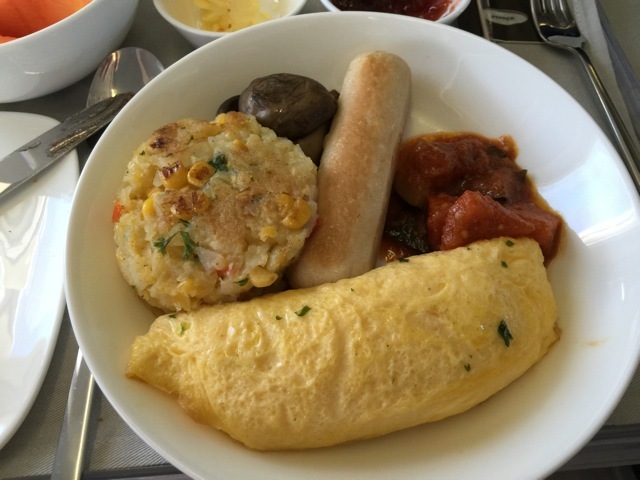 English breakfast with omelette, caponata, chicken sausage, mushrooms and a rather spicy hash brown. 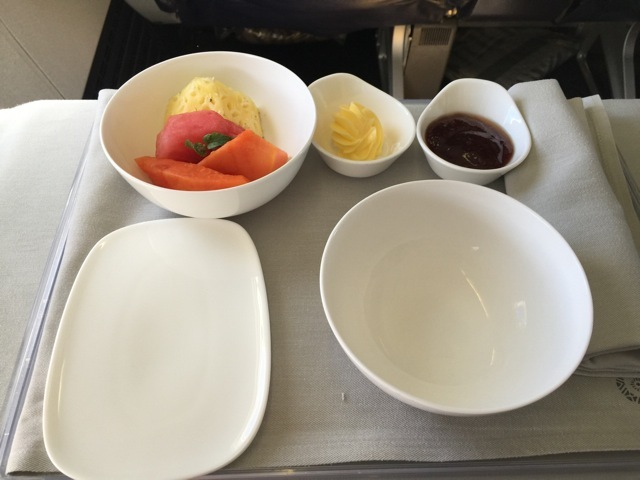 Bacon is served individually once all passengers have receive their hot meal. 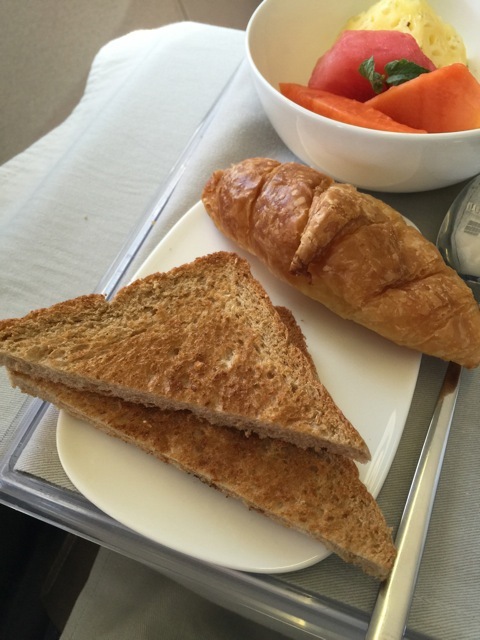 Selection from the bread basket, including croissants and white or wholemeal toast. Blimey! I must say I really am impressed. 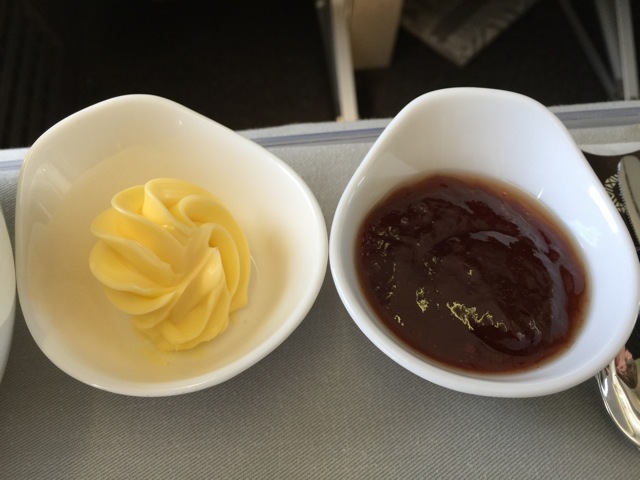 I was not expecting anything much from this flight but so far, I have to say the inflight product is excellent. There is definitely more than enough food to go around. The meal is tasty and the presentation of the tray is attractive. 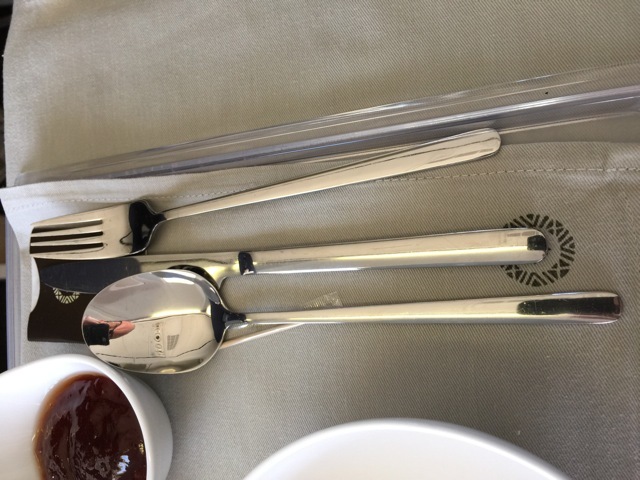 The only complaint I have, is that there is no drinks service during the meal service. 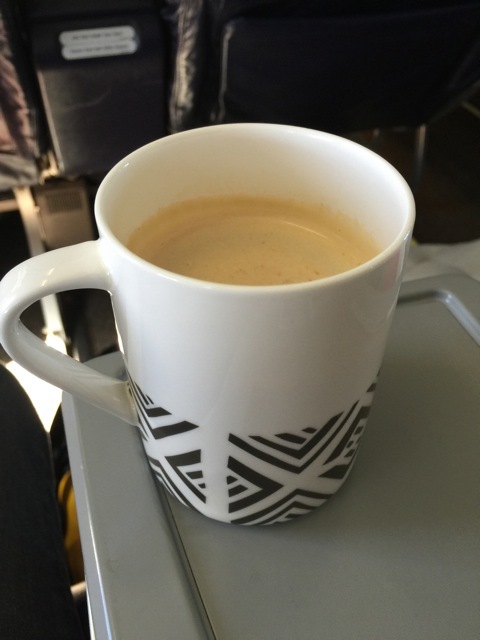 Coffee or tea are only served once the cabin crew come to remove the tray. 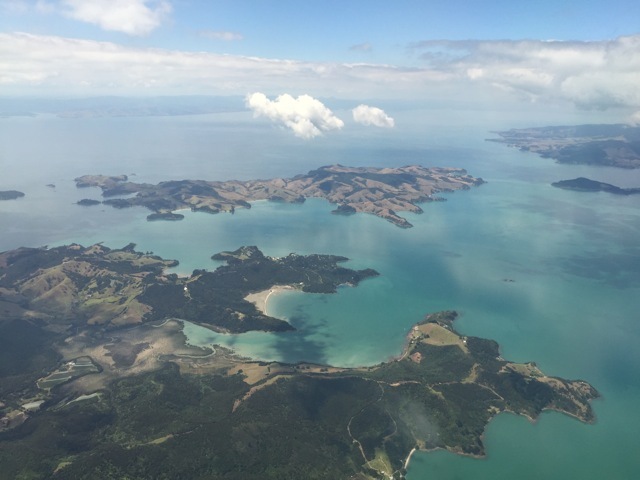 Our approach into Auckland brings us in over some beautiful islands. Looking out into the bright sunshine it is hard to imagine that it is still only February! The airport is fairly calm. A Singapore Airlines A 380 is parked at the gate, which does not bode well. But by the looks of it, all the passengers from that flight have already cleared immigration and only a few of them remain at customs. 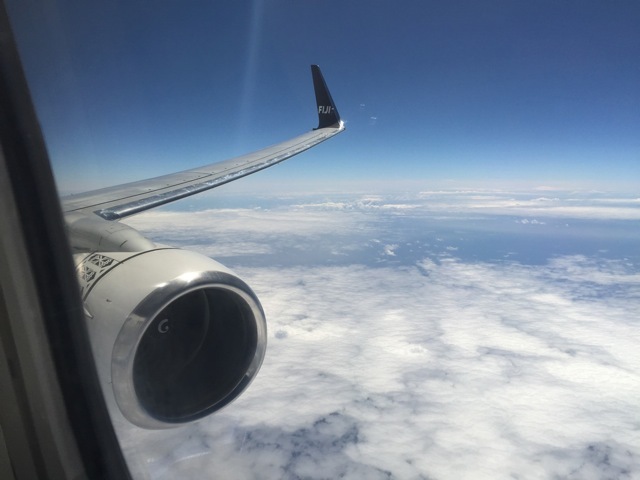 Journey time: About 45 minutes from Auckland airport to Devonport, depending on traffic. 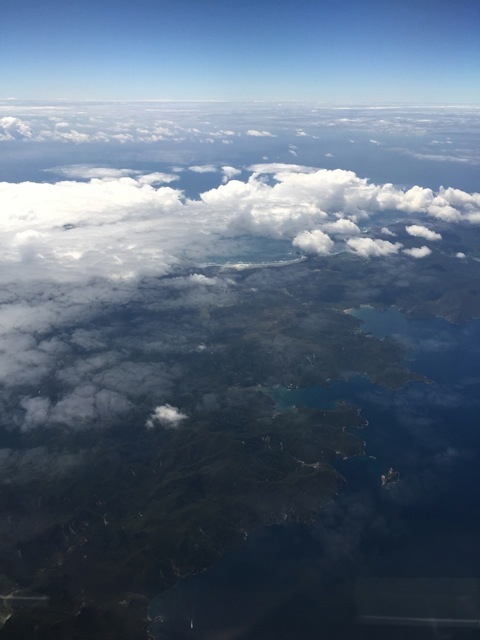 This entry was posted in Boeing B 737-800, Business Class, Fiji Airways and tagged airlines, Auckland airport, aviation, boeing b 737, Business Class, business class passengers, business class seat, departure gates, Fiji, Fiji Airways, flying, leisure traffic, transportation, travel, vacation. Bookmark the permalink.